Today I went out on a jog (slowly getting back into running after my child delivery!) and started hearing something weird over the music on my iPod. 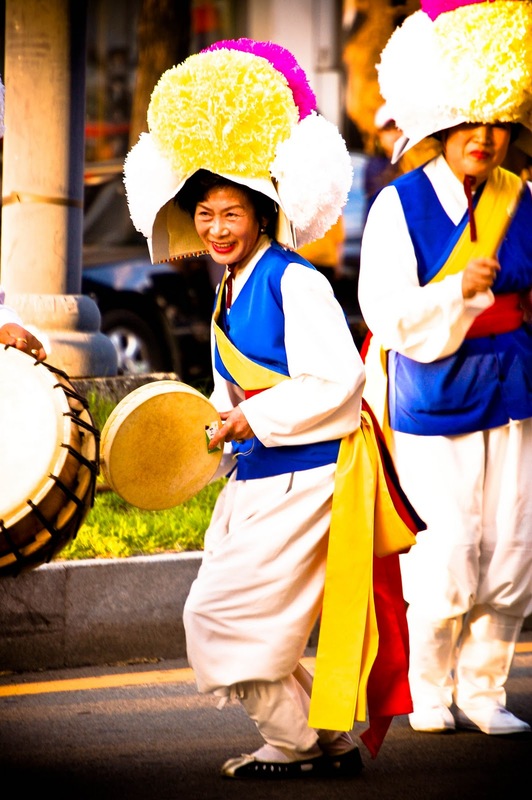 I paused the Van Morrison and realized I had happened upon a traditional Korean marching drum line. 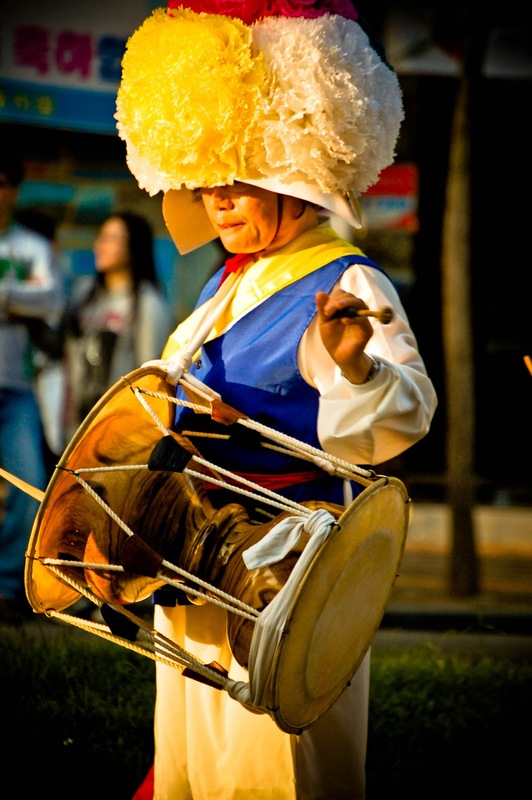 They are playing a drum called the Janggu or Janggo, a double-headed hourglass-shaped drum generally played with one stick and one hand. 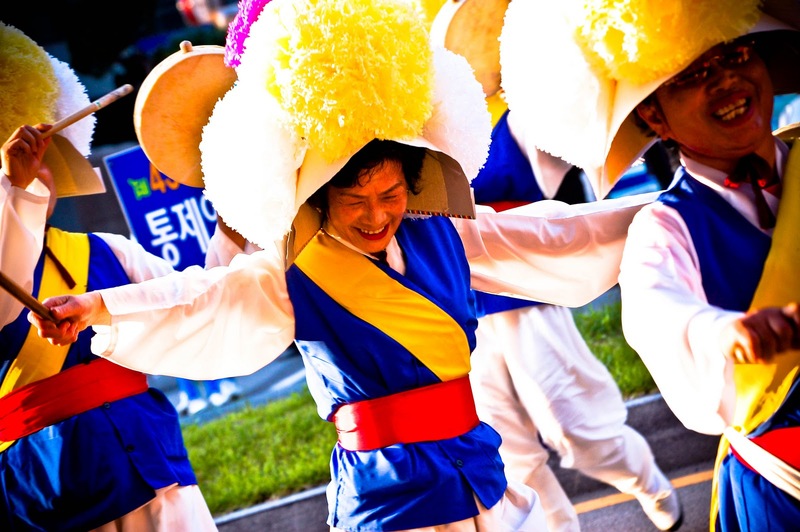 Here are some pictures of a similar drum line I saw at a festival. But what was awesome about today was that they were just marching up along the small street where I live, no festival or parade around! It was quite the sight for a quiet Wednesday afternoon.